In the growing field of technology you must have cool gadgets with you. Tablets are must have gadgets if you want to show your social symbol in the field of technology. But the some Tablets are very expensive to be purchased by everyone. So I am going to talk about the Top 5 Best And Low Cost Android Tablets available in Indian Market. Generally people have concept that low prices gadgets have low quality as well. That’s even come true after the launch of most awaited Tablet the Akash Tablet which is available under 3000 Rs. but people reporting that it should not be more than 3 Rs, because of its low quality. So not going to put it one the first mark. Magnum Pepper is tablet on which quote “Quality in Budget” is completely fit.That’s a liitle expensive than Akash but in terms of features and quality, its far ahead of it. 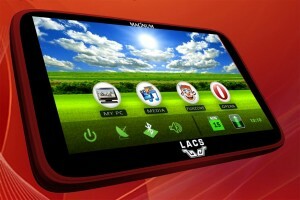 This tablet comes from the house of Wespro, a leading technology brand. So we can ensure of its quality. This is Android Based Tablet and weighs only half KG. This tablet comes from the Bharati Telecom. The best features include its dual camera of 2 Megapixel. Better processing speed is also its key feature. If you are looking for tablet with size 10 inches, then this tablet is for you. This tablet is 10.1 inches in size and comes from Zinglife. Like many other tablets this one is also an Android based tablet. This gadget available at Rs. 9999 in Indian market. If you are looking for Tablet of good screen size and under budget as well, then Zinglife is recommended one for you. This tablet comes from brand HCL and probably the cheapest from them, but in quality it is like their other tablets. Hope you are enjoyed reading Top 5 Low Cost Tablets In India, share with your friends!